With the internet, we are able to do so much more nowadays than say twenty years ago. You can even go as far as having ballet lessons online. We would have had a good laugh at this all those years ago, but now it seems almost normal. Yep, all you need to do is Google ‘how do I do a pirouette, ‘show me a battement tendu’ or, even ‘Teach me all the positions of the feet.’ There is no shortage of free online dance classes beginners can do. Well are ballet lessons online a good thing or a bad thing you may ask? Well, classical ballet is a very specialized field. 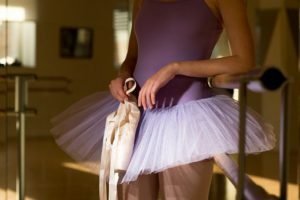 Although there are masses of resources online, in order to do a good job of learning the art of ballet, you are going to need to go to formal lessons. There is no way around this. If you have never taken lessons before, you are definitely going to need to do this. Ballet, although it looks so easy, takes years and years of training. Exercises have to be taught and repeated endless times correctly in order to develop the muscle memory. It takes years to perfect movements so that they look natural and easy. You will need a trained eye to correct your faults before they become bad habits that are impossible to get rid of. For example, you could be sickling your feet every time you point, and if this doesn’t get nipped in the bud timeously, you could have a difficult time correcting it later on, and you will have even more difficulty getting up onto pointe when the time comes. Another reason not to take ballet lessons off of the internet is the fact that you could seriously injure yourself. If you try to do something before you are physically ready or strong enough, you could cause permanent damage to your body. Why You Need A Ballet Teacher? You need a teacher to tell you just how much you must turn out and what muscles you should be using to achieve this turnout. You need a teacher to tell you just how far you should be bending your spine backward, and believe me everyone is different here. You need a teacher to tell you just how far you can push your body without causing injuries, and as ballet has such unnatural body alignments, it is obvious that your whole posture needs to be adjusted in order to perform the physical exercises that ballet demands. You need a teacher to point out your faults so that you can correct them before they become habits. You need a ballet teacher to give you a good foundation that you can use throughout your life, whatever other physical sports you pursue. So there is no doubt that the art of ballet is something that needs to be trained slowly, precisely and over a number of years by a good teacher. Can I Still Do Ballet Lessons Online? Sure, you can use the internet to compliment your training by all means. The internet is a great place to get new ideas and new ways of doing things. There are also videos that you can use to consolidate what you have learned in class, and help you to understand the steps better. Just make sure that your internet lessons are accompanied by good solid technique, that only a qualified ballet teacher can offer you. To find out more about good ballet lessons online, Click Here! Ballet Pointe Shoes - What Type Should I Buy? This is so true. I learned ballet when I was young. It really requires a lot of personal guidance from a professional trainer. And if not careful, one can easily sprain the ankle. Thanks for sharing as many people out there thought everything can be learned online. Ballet definitely is not one of those that you can learn online. Thanks for your comment Florence. I am glad you agree that in order to learn something properly you do need a good teacher – in anything! This information is just what I needed! I’m a dancer myself, and I’ve been looking to expand my repertoire by adding on to it either ballet, tap dancing, or a bit of both. My biggest concern though was whether it was worth it to try to seek these lessons online (for financial reasons), or to go to a professionalist and have them teach me. Ballet does require LOTS of discipline. You’ve helped me to make up my mind. Thanks for a great post! Thanks for the comment Jay. I agree a professional always wins hands down. Very interesting question! By the way, I used to dance for Wilmington Civic Ballet. Hard to remember, and sorry I quit. These were good days though. Still wonder why I decided to quit something I loved doing. I agree with your opinion, that internet courses cannot replace a teacher. Often, when people drop out of a physical art such as martial arts, ballet, yoga, etc, it’s because the learning atmosphere becomes too clinical, unresponsive, un nurturing. Imagine how much worse this problem could be without the physical touch, the after class parties, or the pupil and teacher talks. I remember hours of exercises, holding onto the balancing beam, only so I could learn what balance felt like, while performing certain forms, and disciplines. Way to go. Said like it is! Thanks Sam. Great to hear from an ex dancer. My ex-wife and daughter take ballet and they love it. I would have never thought about having them take classes online because of the simple facts you listed. You could create bad habits that will be hard or impossible to break and also the fact that it would be easy to injure yourself if you do something when you were not ready or improperly trained. Thank you for the write up and keep the good stuff coming.